Spot the dog is missing! Where could he be? In the box? Under the rug? Behind the couch? 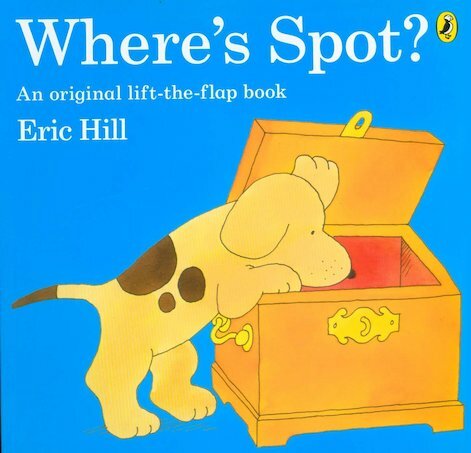 Lift the flaps to track him down in a book of cute peekaboo surprises. It has an adorable hideaway pup to find in a house full of familiar objects. But it’s also got a bear, a snake, a hippo, a lion, a monkey and a tortoise. Bet you weren’t expecting that!